Packing up and heading to a new home involves a lot of moving parts, which is why you want to work with trustworthy packers and movers like Affordable Moving Services. Located in Branson, MO, this national moving company provides services for both local and long-distance moves. Determine Who Will Pack: One option is to enlist your family and friends to help you pack and move heavy boxes. If your loved ones are unavailable to help, however, hiring professional packers and movers will ensure that your belongings arrive safely at your new home. De-Clutter: Moving provides you an excellent chance to downsize your stuff. The fewer belongings you move, the more you save on time and money. As you go through your possessions, sort them into four piles: keep, trash, recycle, and donate. If you haven't used something in a while or forgot you even owned it, it may be time to part ways. Save On Supplies: While some people prefer to buy moving supplies, you can save money on boxes with a simple trick. Head to your local supermarket and ask if they have any boxes they are getting rid of. Food and beverage cartons are medium-sized and durable, making packing and moving much simpler. By following these tips, you can take some stress out of the moving process. 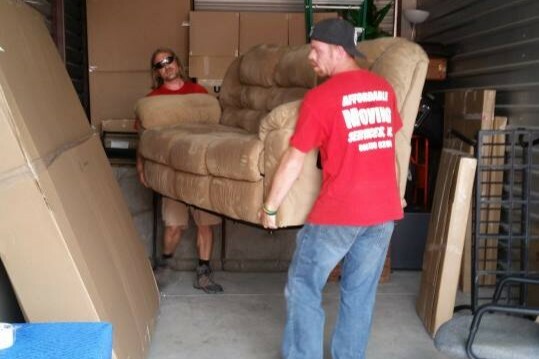 When moving day rolls around, you can trust in the packers and movers from Affordable Moving Services in Branson, MO. Visit them online, or call (417) 239-6445 to discuss your family's moving needs.